How does Scorsese’s Oscar nominee play in two dimensions? Preserving brightness, color and clarity—three qualities that tend to suffer when you slip polarized shades over your eyes—Scorsese turns the storybook, early-’30s world of the film’s eponymous Dickensian orphan (Asa Butterfield) into a fully immersive kingdom of the imagination. His true subject, though, is film history, specifically the work of cinematic pioneer Georges Méliès. In a way, the 3-D serves a metaphoric purpose: Just as Méliès evolved beyond the objects-coming-at-the-audience appeal of the Lumière Brothers’ “Arrival of a Train at La Ciotat” (1895)—which the film samples—Scorsese demonstrates ways that 3-D can transcend its usual function of poking or prodding captive viewers with imaginary projectiles. Those who saw Hugo in all its stereoscopic glory will immediately feel the absence when watching the film in plain 2-D. The tour de force of the opening scene, in which Scorsese breathlessly plunges us from a snowy aerial view of Paris into the hustle and bustle of the movie’s central train-station locale, loses some of its wonder in transition. Likewise, Hugo’s clock-tower home, with its turning gears and swinging pendulums, feels less labyrinthine without the illusion of multidimensionality. Elsewhere, shots that were conceived and framed with 3-D in mind—like the mad dash of a patrol dog through a rush-hour crowd or a devastating fireball bursting through an open doorway—now look like bad green-screen effects. All of this works to dim, but not extinguish, the magic of Scorsese’s vision. 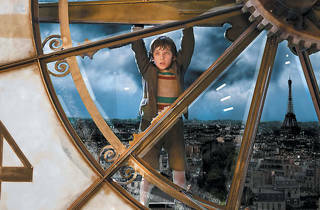 Hugo may be the best 3-D movie yet, but its pleasures extend far beyond its use of the eye-popping technique. The production design maintains its fanciful intricacy, Robert Richardson’s camera glides just as gracefully, and there’s no loss in the life Marty and his actors breathe into every corner of that sprawling train station. Once the movie becomes a full-on tribute to Méliès—and, as its detractors are quick to quip, a PSA on film preservation—the lack of 3-D becomes a nonissue. For all its visual delights and innovations, Hugo is perhaps most endearing for the way it communicates its director’s tireless commitment to protecting lost treasures of cinema. Glasses on or off, Scorsese’s love of the medium always comes in multiple dimensions. 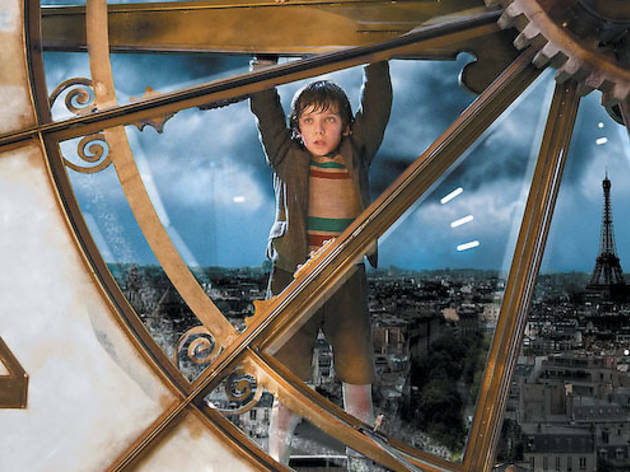 Hugo arrives on VOD, DVD, Blu-ray and Blu-ray 3D on Tuesday 28.